Nineteenth century cantor and composer Solomon Sulzer combined the Viennese romantic compositional style with traditional Hebrew melodies to create a new form of Jewish liturgical music. Along with his own compositions, he worked with some of his musical colleagues of the time including Franz Schubert. Combined, these make a beautiful concert setting or service music for both Jewish and Christian worship. 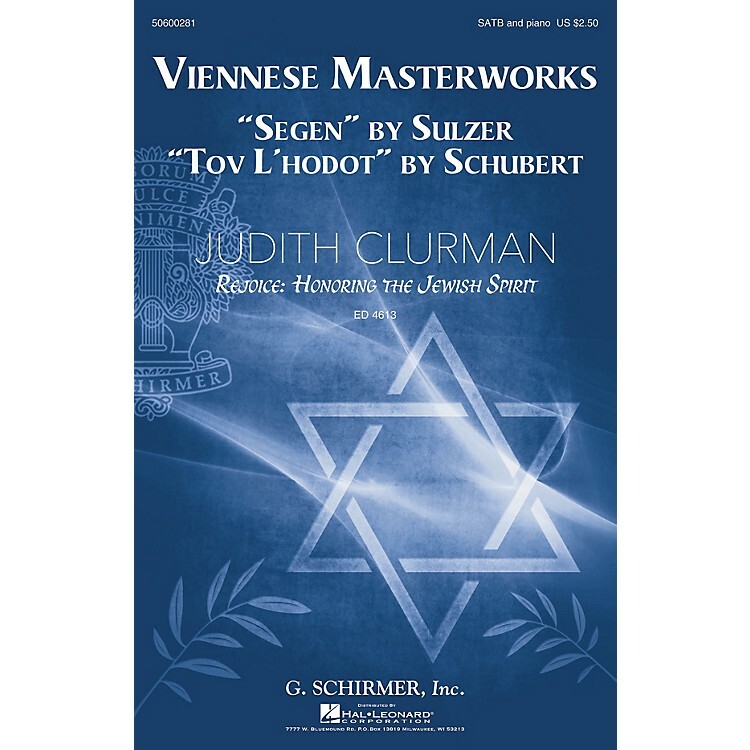 Includes Segen (Sulzer) and Tov L'Hodot (Schubert).